Sputnik's launch comes at a time of high stakes for both state-run and independent media outlets. The Kremlin strengthened its position in the drawn-out media war with the West this week with the launch of Sputnik, an international multi-platform news agency meant to provide a pro-Russian alternative to Western media coverage, as Russia's independent media outlets struggle to stay afloat. Sputnik's launch comes at a time of high stakes for both state-run and independent media outlets. As the Kremlin steps up its efforts to disseminate its narrative to a broader audience while restricting foreign ownership of the country's media outlets, new opposition-minded information platforms have started to appear. 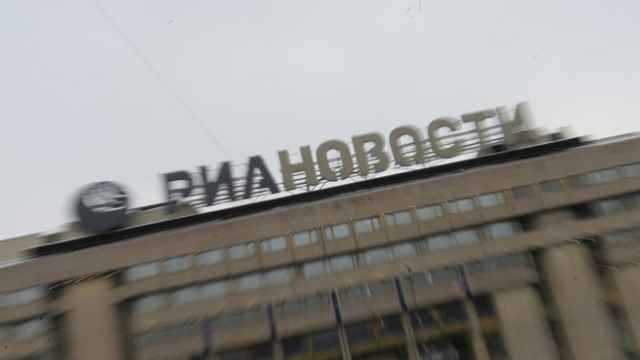 Sputnik is built on the foundation of state news agency RIA Novosti, which was dismantled last December and incorporated into a global outlet called Rossiya Segodnya. 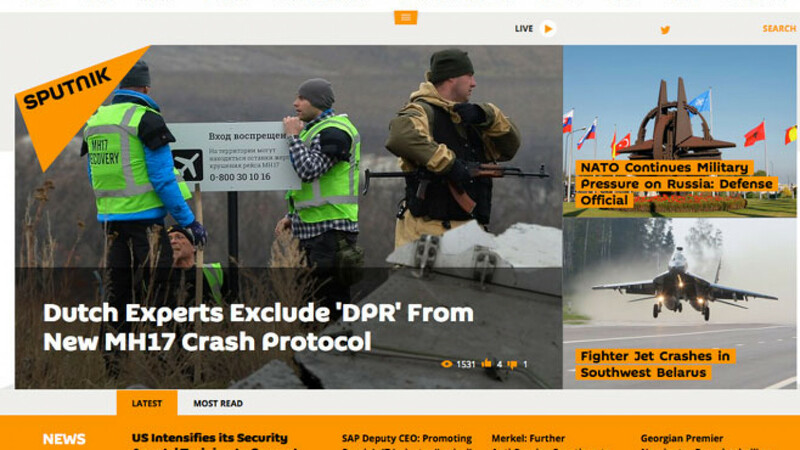 Sputnik presented itself as an alternative for disillusioned news consumers in a press release Monday, saying it would cater to those who are "tired of aggressive propaganda promoting a unipolar world and want a different perspective." Dmitry Kiselyov — the controversial head of state news agency Rossiya Segodnya known for his anti-Western rants and homophobic diatribes — did not deny that the launch of Sputnik would help Russia wage the ongoing informational war against the West that has accompanied the conflict in Ukraine. 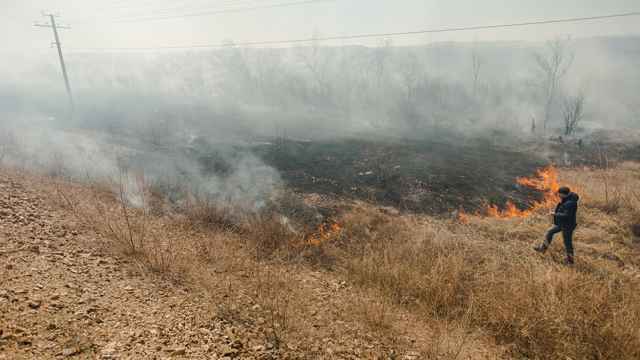 "There are countries that impose their will on both the West and the East," Kiselyov said, referring to the U.S. and its Western partners, according to comments carried by RIA Novosti. "They cause bloodshed, spark civil wars and color revolutions, and even destroy countries like Iraq, Libya, Georgia, Ukraine and Syria wherever they go. … Russia offers a model of the world that favors humanity. We are in favor of a multifarious, multifaceted world, and we have many allies [who share this objective]." Starting in 2015, Sputnik will broadcast from 130 cities in 34 countries, including from regional offices in Washington, Beijing and Cairo, and will offer content in 30 languages. The multi-million-dollar initiative is meant to bolster the Kremlin's efforts to counter Western media outlets' largely unflattering coverage of Russia. On its first day, the American version of Sputnik published a story suggesting that 2014 was the "year of secession" and that Miami could separate from the state of Florida. 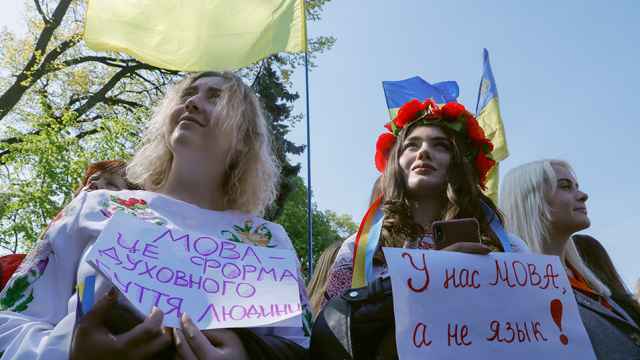 It also ran articles highlighting Kiev's "top five mistakes" in handling the Ukrainian crisis and detailing Oliver Stone's plans for an upcoming film about U.S. fugitive Edward Snowden's escape to Moscow. Despite the country's economic woes and plummeting currency, the Russian government announced in September it would dramatically increase funding for state-run media outlets, including Rossiya Segodnya and RT. 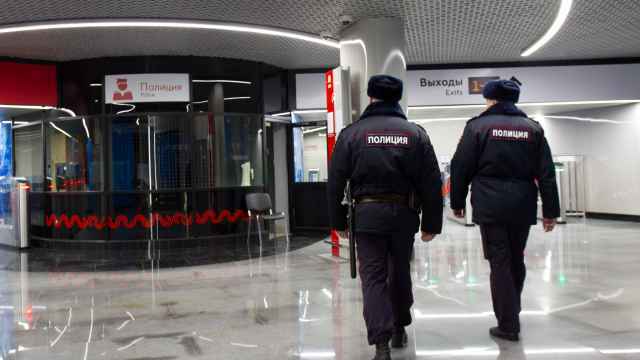 The 6.48 billion rubles ($140 million) allocated to Rossiya Segodnya for 2015 represent almost triple the amount that had been initially planned, undermining the Kremlin's initial explanation for RIA Novosti's liquidation: that it was a move to curb spending. The launch of Sputnik coincided with the narrowing of options for Russian cable viewers after CNN announced that it would no longer broadcast in the country starting on Jan. 1, 2015. Turner International — a division of Times Warner, the American multinational that owns CNN — released a statement Monday saying that it was bringing its "existing distribution relationships to an end" while it assesses its distribution options in Russia following "recent changes to Russian media legislation." A new law signed off on by President Vladimir Putin in October bars foreign investors from owning more than a 20 percent stake in Russian media companies, a move observers said would further stifle independent media outlets and provide news consumers with fewer alternatives to state-run news. Russia's Communications and Mass Media Ministry said Tuesday that current Russian legislation does not restrict CNN's ability to broadcast across the country's cable and satellite networks. "The legislation allows foreign news channel to broadcast in Russia, the legal structure and methods are in place [for this]," the ministry said in a statement. "The ministry is in favor of Russians having access to a variety of information sources, including foreign outlets." When asked by The Moscow Times to elaborate on the nature of its decision, a Turner International spokesperson repeated the company's initial statement and did not specify how Russian legislation affected its operations in the country. The government's efforts to control the news have been met with resistance from factions of the Russian media sphere the Kremlin has attempted to muzzle. Last month, Galina Timchenko — the former editor of Russia's then most visited news website who was dismissed in March and replaced by a pro-Kremlin news professional — launched Meduza, a news website geared toward the Russian public but based in Latvia to escape Kremlin control. The deputy editor of opposition-leaning channel Dozhd, Renat Davletgildeyev, told RBC newspaper Tuesday that Open Russia — the foundation of former tycoon Mikhail Khodorkovsky who spent 10 years in prison on charges widely viewed as being politically motivated — would be launching a news portal to expose stories that are often ignored in a centralized media environment. Davletgildeyev said the project, set to be launched by the end of the year, would consist of a video channel and would not officially be classified as a media outlet because of administrative barriers in the registration process. It will depict the "raw" realities of Russia's regions, he said. "There are no alternatives to explain foreign policy and domestic issues in Russia because the media is perpetually controlled by the state," Davletgildeyev told The Moscow Times. "This is why the project came into being. We don't want to fight the state as such, we are just here for the people who care."